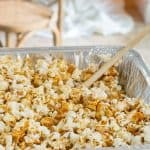 You are here: Home / Recipes / Caramel Popcorn Crunch – Best Ever! 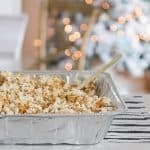 Caramel Popcorn Crunch – Best Ever! 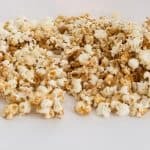 Caramel popcorn crunch recipe that truly without exaggerating is the best that I’ve ever tasted and I think that you’ll agree! I got this recipe from a friend years ago when the kids were little and have been making it every Christmas season since then. It’s easy to make up a big batch of this crunchy goodness and perfect for a party nibble. Today I’m joining in the Tastes of the Season Holiday Recipe Series, hosted by my talented friend Kristen of Ella Claire Inspired. Like most of my recipes you can add your own favorites bits to change it and make it your own. 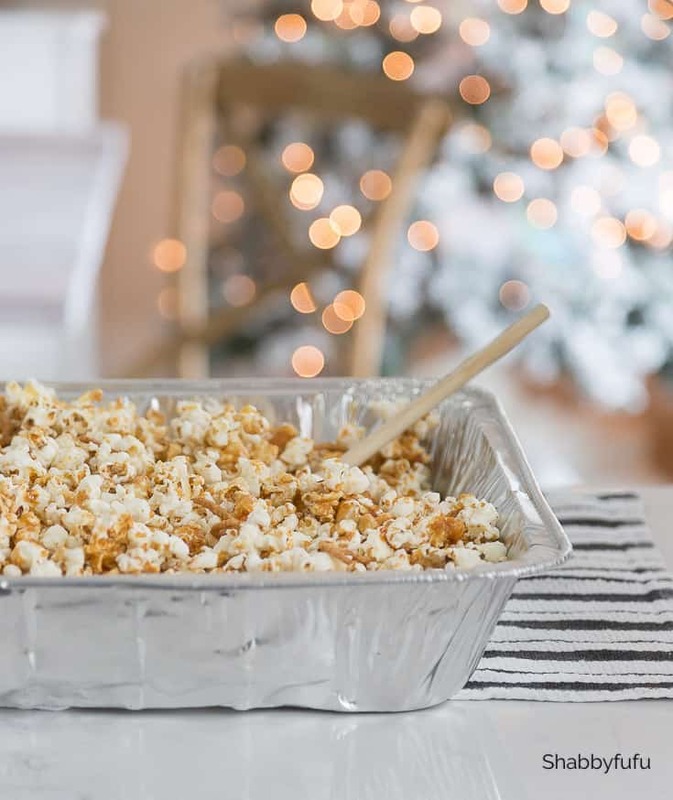 Not only is this stuff fabulous party food, but get some of those decorative Chinese take-out containers and fill them up for gifting. My caramel popcorn crunch isn’t the stuff of Cracker Jax, and has a unique flavor with oodles of…noodles! 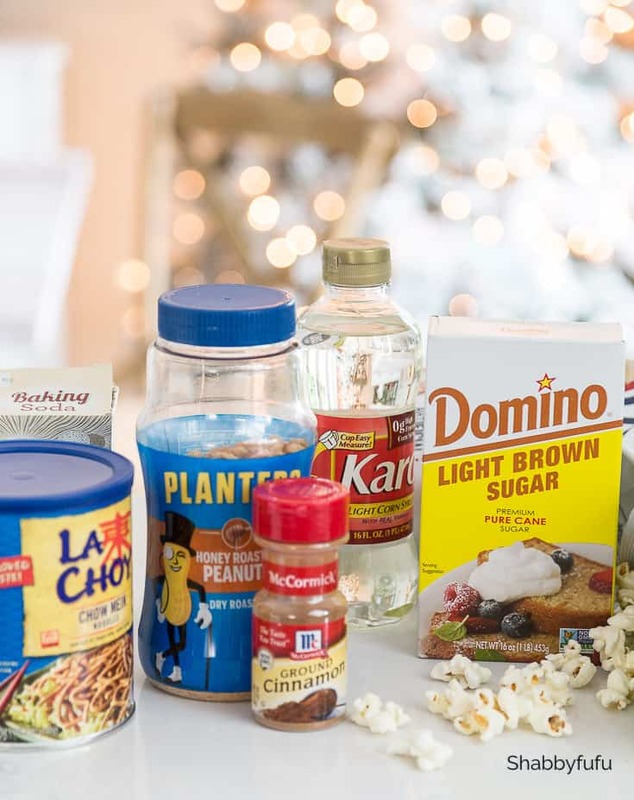 Caramel popcorn crunch recipe with a twist and it's the best that you've ever tasted! 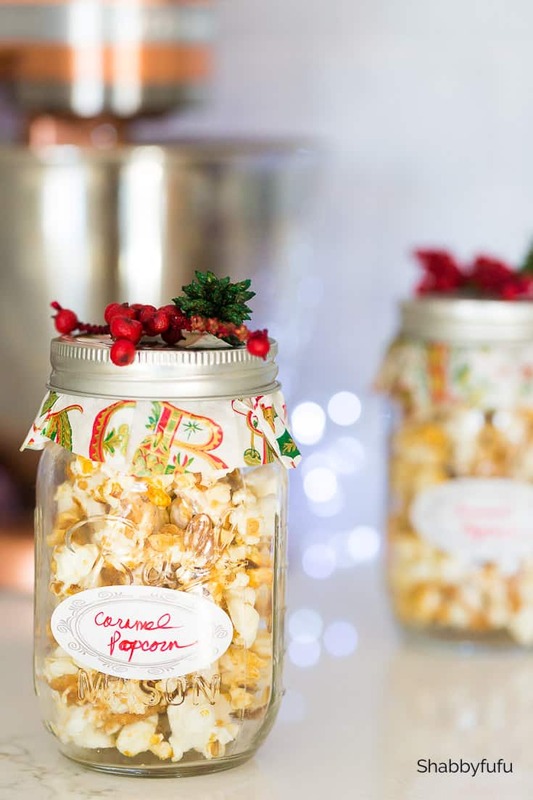 Perfect for holiday parties as a nibble or fill some jars or decorative take-out containers and gift them to friends. Combine brown sugar and next 3 ingredients in a large saucepan. Cook over medium heat stirring constantly for 5 minutes or until mixture boils. Remove from heat. Stir in baking soda, mixture will bubble. Pour over popcorn mix and stir with lightly greased long handled spoon. Pour out on wax paper and break into chunks as it cools. Store in airtight container. Optional extras after cooled can be pretzel sticks and chocolate chips. Please visit my talented friends below! 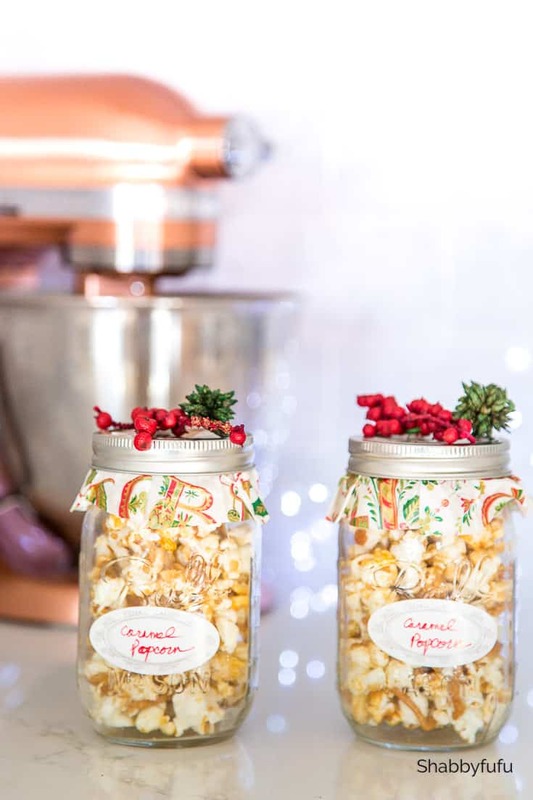 Janet, my family LOVES popcorn especially caramel popcorn so I’ve already printed your recipe off to make. Merry Christmas!